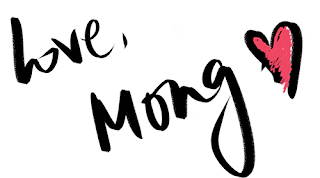 Can I just start by saying that this is one of the best self-directed blog post I've worked on? Despite being able to dress up as a (subtle) golden goddess, I found a product I'm in love with that I can't wait to share with you guys. They say having a good skincare regime is very important when it comes to having healthy, clear skin. But what many of us don't know is that bad skin does not only come from inappropriate skincare habits, but also our environment and its pollutants. Living in a city, we are often exposed to many harmful pollutants. Think about it, how many cars are we exposed to in a day? What about the smog and particles that are released into the environment? As city goers, more attention and protection needs to be taken when it comes to these pollutants that we can't see with our naked eye, much less take steps to prevent them from sitting on our skin. 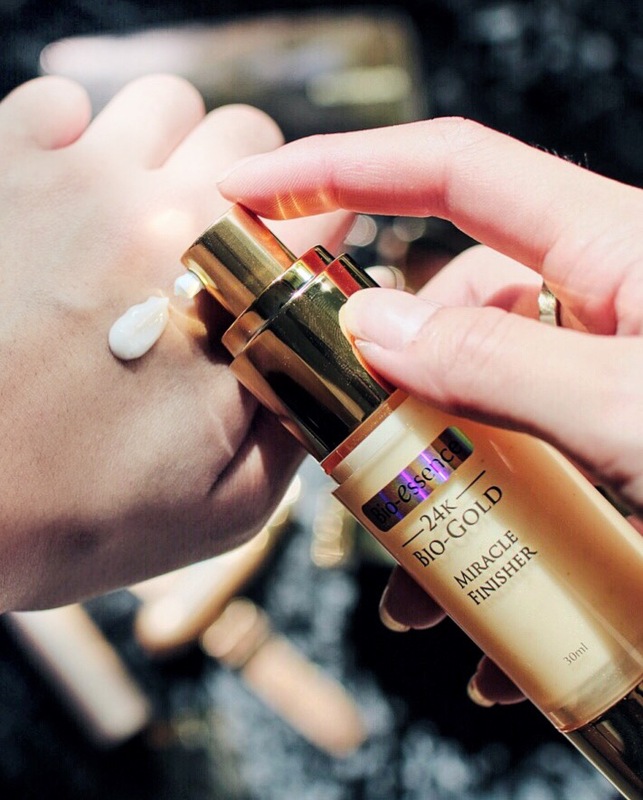 And that is why I'm super happy to share the new Bio-essence 24K Bio-Gold Miracle Finisher. The final step to everyone's skincare to achieve flawless, healthy skin. 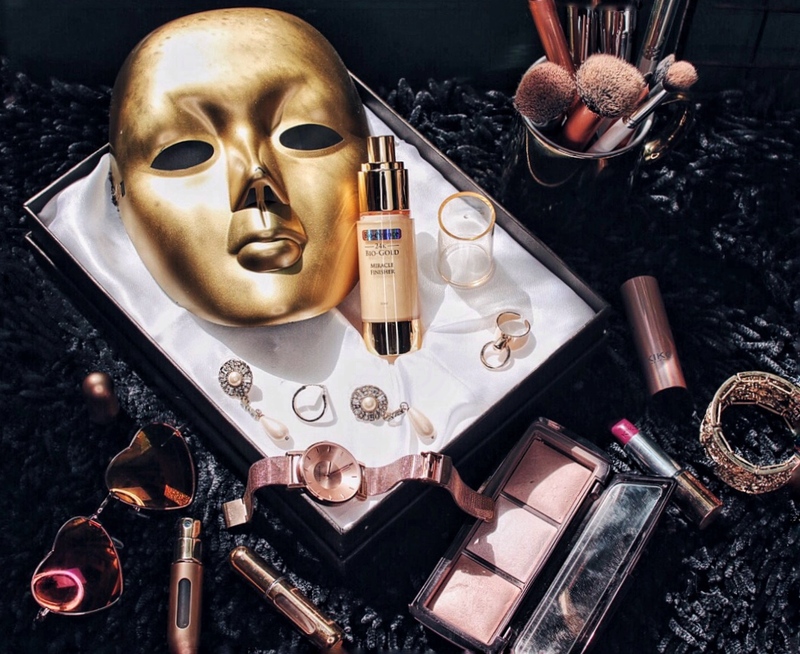 The 24K Bio-Gold Miracle Finisher acts as a sealer to lock up all of the skincare products that have been applied prior to the finisher, reducing loss of moisture to the environment throughout the day. 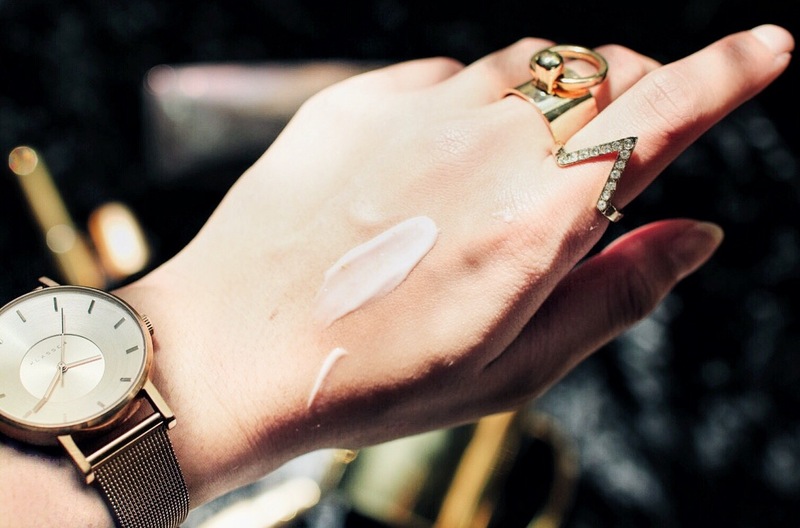 Simply go ahead with your normal skincare regime - cleanse, tone, moisturize, SPF, then apply the 24K Bio-Gold Miracle Finisher over . This will not only add an extra sheen to your skin, leaving it looking luminous and firm, it also increases the efficacy of all your skincare products. The texture is very lightweight, non-sticky and make up definitely glides on much smoother. 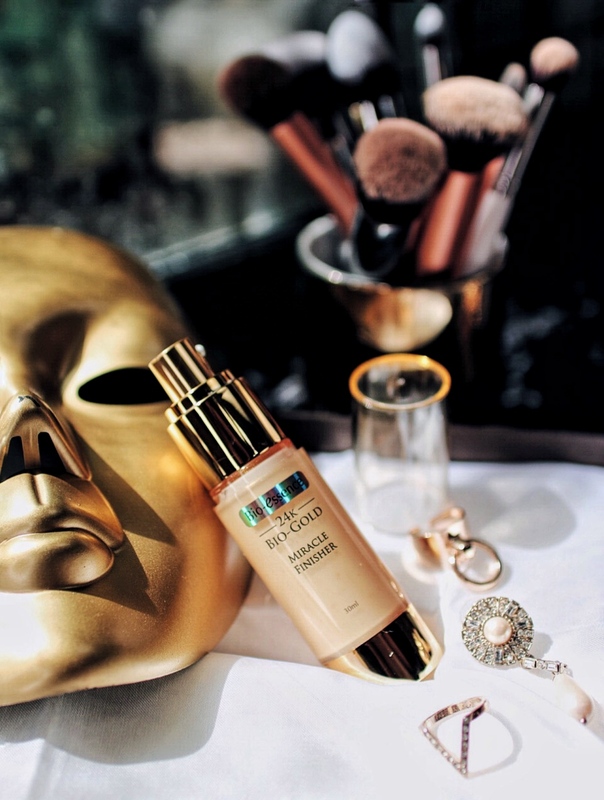 The 24K Bio-Gold Miracle Finisher also protects your skin from all the harmful pollutants by forming a transparent veil. With that, there is also a protective layer in between your pores and cosmetics! Bid clogged pores, skin irritation goodbye and let's welcome a smooth, flawless canvas woohoo! I also loveeee the miracle finisher because not only does it help to minimize the appearance of pores, make your skin look softer and smoother... It also gives it a matte finish! Everyone should know that I'm a huge fan of the dewy skin look, but more often than not I will turn into a greaseball just a few hours in, given our humid climate. What I like about this is that even though it mattifies my skin, it doesn't lose its dimension. Instead, the gold flakes in the finisher gives me a natural, from-within-radiance that I personally find rare in other products i've tried. For many years, gold have been used in beauty products to maintain youth and beauty. Even in ancient times! The 24K Bio-gold acts as a booster that renews skin and is a powerful anti-oxidant that helps fight against free radicals effectively. 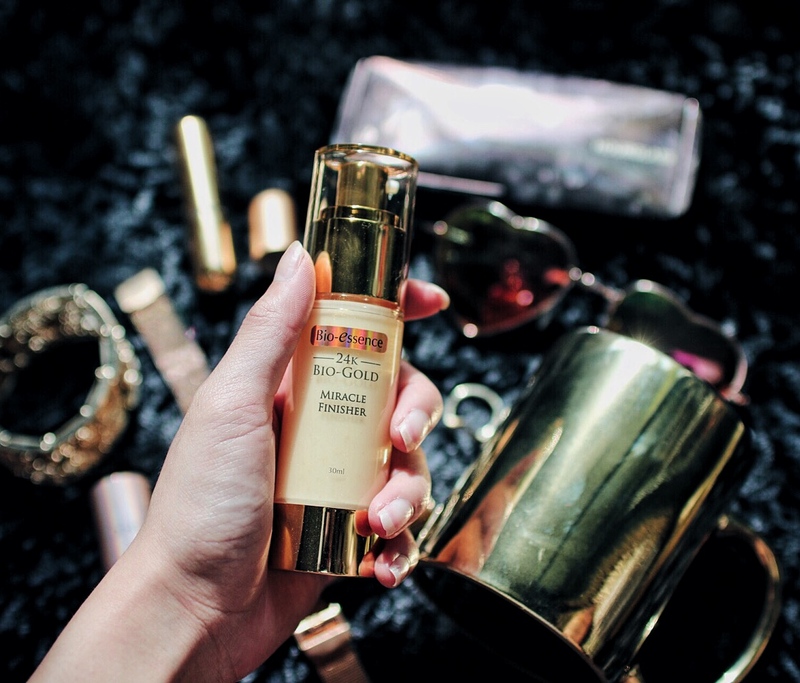 Retailing for $39.90 a bottle, you can get your hands on the Bio-essence 24K Bio-Gold Miracle Finisher at Guardian, Watsons and NTUC Fairprice. Hope you guys found this review useful! Even though this post is sponsored by Bio-essence, I hope you guys trust that I have personally tried and love the product before writing this post. Love yall!